Product #45959 | SKU AER-02 | 0.0 (no ratings yet) Thanks for your rating! 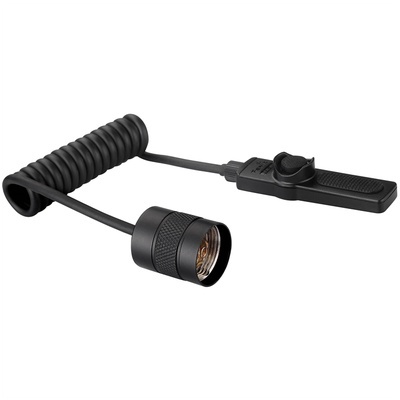 Designed for tactical activity or hunting, the AER-02 Remote Pressure Switch from Fenix allows you to control a weapon-mounted flashlight remotely. The included hook-and-loop attachment patch allows you to mount the switch where you like and attach or detach it quickly. The pressure pad turns the light on and off noiselessly and has a lifespan of approximately 100,000 activations. The coiled cord extends from 9.4 to 31.4"(24-80 cm). Designed for flashlights with 1"(2.5 cm) bodies, the tail adapter is made of T6-grade aluminium with a type III hard-anodised, anti-abrasive.